I, as the sponsor (in the USA), am starting to fill out the Affidavit of Support (Form I-134) for my fiancée to take with her to her interview in Sydney, Australia when scheduled. I am self-employed so wanted to post this thread to get confirmation on if this part is done correctly and just a bit more information. 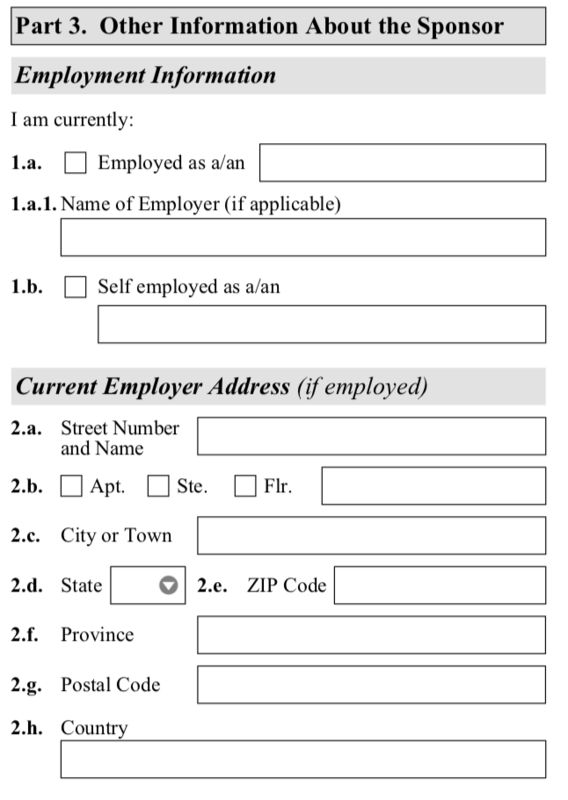 Also in part 3 (attached image), do I leave the 'Current Employer Address' section blank or would I just put the address that's registered under my business or house address? Lastly, what type of evidence should I send my fiancée along with this form? I get paid annually (basically whatever the business profits that year) and of course I have my personal tax return to show my income of that profit. For the evidence part, I am still confused because I do not want to overdo it with evidence in my situation. I have attached an image and highlighted the parts in question. 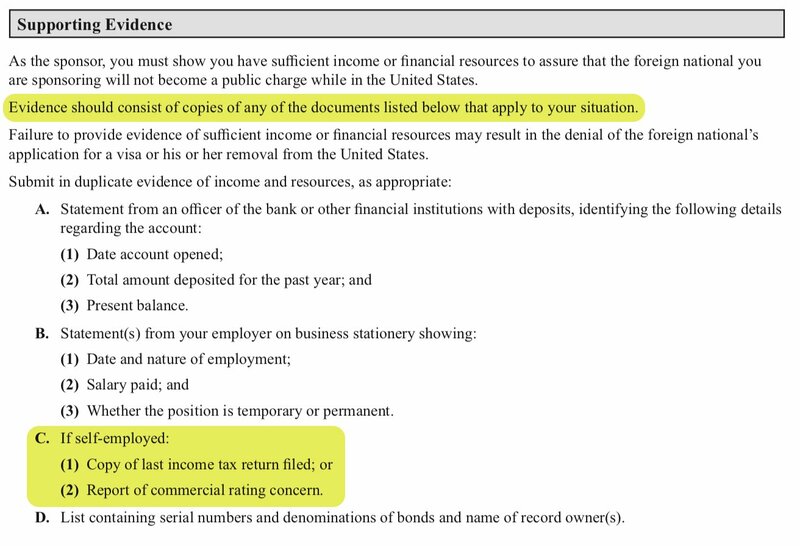 It states that I need evidence/documents that apply to my situation and the only thing is anything in part C. Not sure if this is all I should need or not. I heard sometimes too much evidence is actually a bad thing and unnecessary. Hoping someone who is actually self-employed and has gone through this could help. And the main question about address and 1.b is still needing answer. Also, the main question about address and 1.b in first post still needs answering if anyone may help.